When I first started hunting, I bought whatever hunting clothing was on sale. 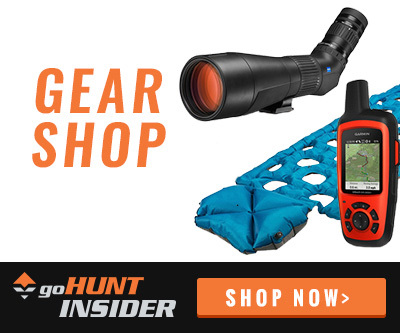 It took several hunts before I realized that quality gear is worth its weight in gold. 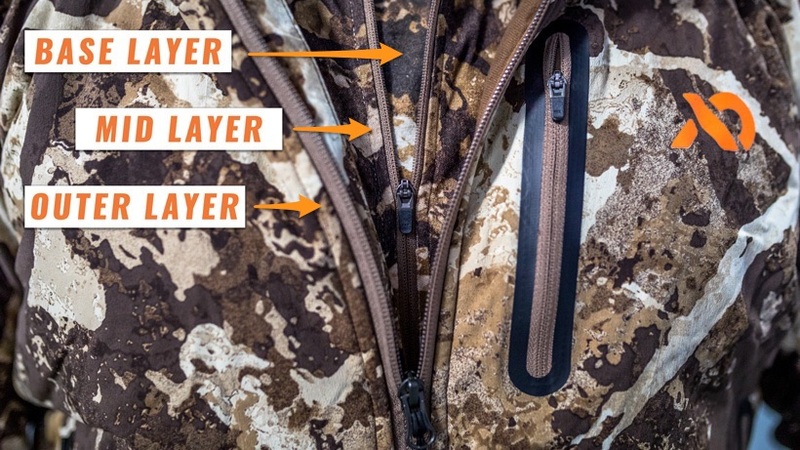 Layering is one of the most important parts of planning for your hunt. 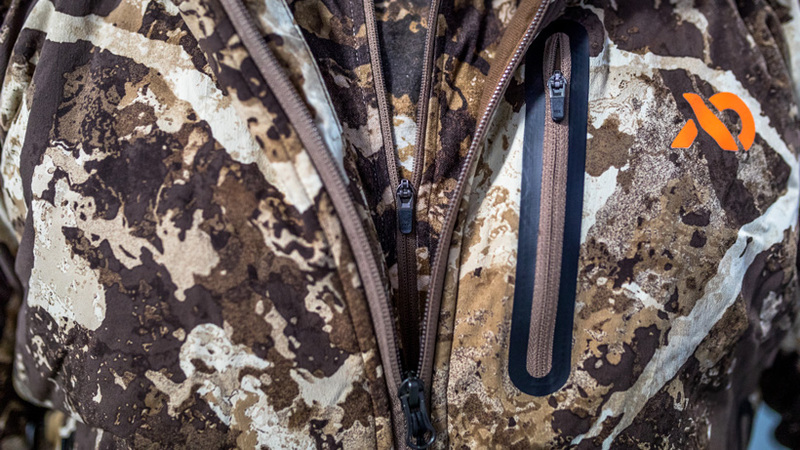 If you layer well, you will be able to be comfortable, warm, and dry during your hunt. If you do not layer well, you are at risk of being very wet, very cold, and, potentially, becoming a victim of hypothermia. This article is intended to give you a basic understanding of the materials, technologies, and techniques involved in proper layering of your base layer clothing for optimal performance, comfort, and weight. 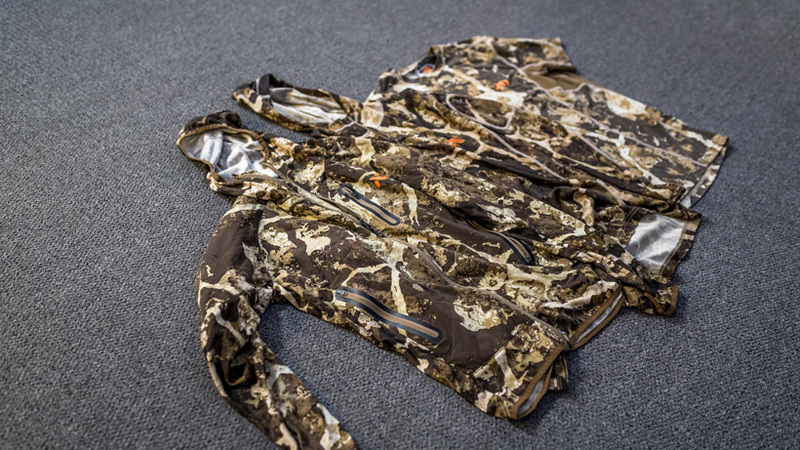 Base layers have become a staple for practically all hunters and for good reason: Base layers give you more versatility in the backcountry, allowing you to shed layers as it warms up and add more as it cools down. They also provide essential warmth when it gets cooler. But what base layers are best? Merino wool or synthetics? Let’s take a look at the options. Merino wool is wool that comes from merino sheep in New Zealand and is spun into finely threaded wool clothing. Merino wool is effective at regulating body temperature, keeping you cool on warm days and keeping you warm when it is cold. Merino wool is also naturally odor resistant because the bacterium that grows and causes odor is unable to grow in merino wool. This means that you can wear merino wool for days on end without producing any odor. Merino wool is also effective at wicking moisture away from the body, which keeps you dry and cool when it’s hot. Merino wool can be very scratchy, though, if the wool fibers are not produced at the finest level. When looking for merino wool, make sure that it has a fine thread count and is comfortable to wear. Synthetics are materials like polyester, nylon, spandex and other fabrics. It’s known for being breathable and light (think Under Armour, your favorite gym shorts, etc.). Synthetic is great at wicking moisture and dries very, very quickly; however, it doesn’t block odor and starts to stink after a while. There is a saying, “Cotton kills and synthetic stinks.” Cotton does not dry out well so if you are wet and cold, hypothermia might be at your doorstep. Synthetic, on the other hand, allows bacteria to grow, which produces odors. Some synthetics are infused, wound, laced, or treated with antibacterial materials like Polygiene, silver, carbon, zeolite and others. These help reduce the buildup of odors (some do it very, very well), but, ultimately, it is still possible for these fabrics to develop an odor if used for days without washing. The answer: yes and no. Merino is better in some circumstances and synthetic is better in others. 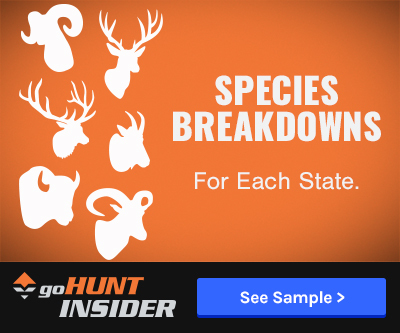 It really depends on your needs, hunt location, and hunt duration. You also need to consider whether you are backpacking in (so that weight is a key issue) or if you are camping where you can have more articles of clothing available. Will it be wet, cold, hot, dry, snowy, windy? Will you be doing more sitting and waiting or will you be doing a lot of hiking where you’ll be sweating more? These are all factors you need to consider when selecting merino or synthetic. Merino wool is excellent for layering when it is cold. Its ability to regulate temperature is key. When you layer a 125 gr or 145 gr merino and a 210 gr merino together, those two pieces alone can sustain you from 45 degrees all the way to 80 degrees. For some, this might be all you will need. Additionally, if you are going on a long hunt and do not have the option of packing multiple shirts or pairs of pants, then merino is your best choice because you can wear it for multiple days without odor building up. When is merino not ideal? Merino does not dry out well in very wet conditions. It can move moisture through its fibers well, but it doesn’t dry out completely if the surrounding environment is not dry. 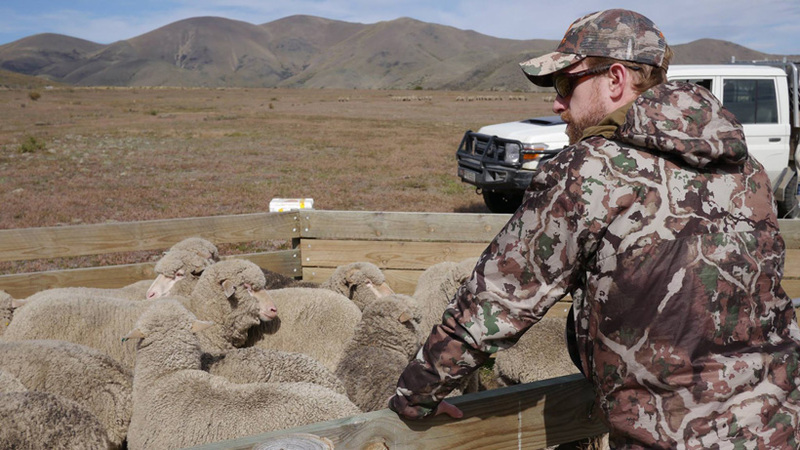 On rainy, humid hunts, merino might become cumbersome if it gets too wet and cannot dry out. Also, merino can snag because of its fine threading, which means it’s not best for hunting in an area with lots of thorny bushes. Synthetic, as stated before, is great at drying quickly, breathing well, and being very light. Synthetics can dry out in even the most humid of environments. 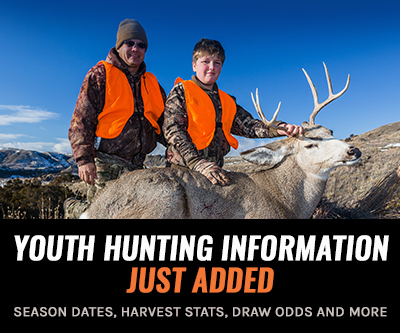 If you are going on a shorter hunt, synthetic might be the ticket because it is lighter and wears very well. Due to the thin fabric, synthetics can keep you very cool when temperatures go into the 80s and 90s, but they can also be layered well to keep you warm when it cools off. Also, many synthetics are snag resistant. When is synthetic not ideal? When you are going on long hunts where the potential for odor buildup is high, synthetic is not what you want. This factor alone might cause you to steer clear of synthetics, but don’t let it make you forget about the benefits of this type of fabric. The great thing about base layers is that there is not a "one-size fits all" option. (This is a good thing, I promise). Base layers are available in weights from 120g to 300g and can be mixed and matched to create the perfect base layer combination for you. With a good next-to-skin layer (120g to 175g) and a good mid-layer (210g to 300g), you can weather temperatures ranging from just above freezing to nearly 100 degrees. 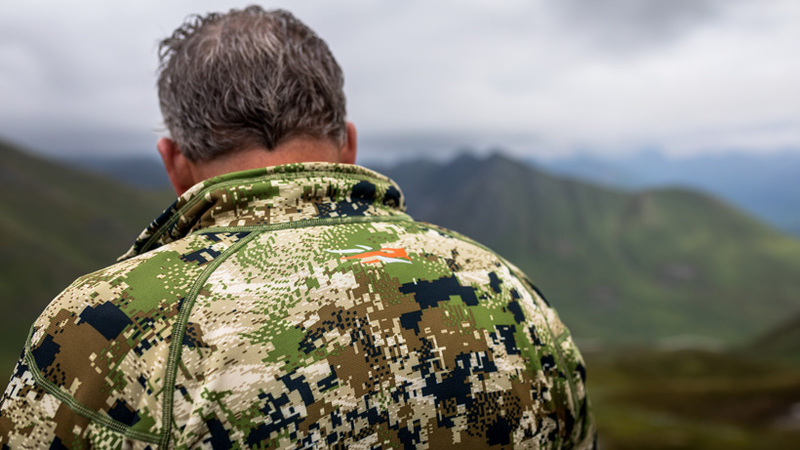 This kind of versatility from only two pieces of clothing offers a great deal of flexibility that allows you to match your clothing to the environment. Stay tuned for a full look at insulation layers and outerlayers/rain gear. Have you field tested the drying question? I have and personally, I don't find synthetic any better than Merino wool. Depending on the comparative weight of the fabrics, the drying time is comparable. First off, neither will dry out if the humidity is 100% and you don't have a source of warm dry air, like a fire in a stove in an enclosed space. Both will dry out in a day or half that if in direct sunlight in dry air. So if you pack synthetic and think you're going to crawl into a tent when its pouring outside and hang that shirt up on the interior line and have it dry, you're dreaming. Its just going to add to the already wet atmosphere in the tent. Bottom line, for exactly the same thickness fabric, under good drying conditions, synthetic may dry slightly faster. When its wet out, neither will dry. Second, wool vs synthetic in exactly the same thickness provides more warmth. That also speaks to the drying question and why I say the difference in drying time under any condition is negligible; becuase you have to carry thicker synthetic for the same performance as a lighter weight merino. Third, wool will keep you warm when wet, and often the best strategy is to wring it out and wear it dry. Your body is warmer than the outside air and will warm up the garment, increasing its moisture shedding. And it keeps you warm. That said, I've worn synthetic in steady rain till it was soaked, and it does provide some warmth when wet, but not as much as wool. And, wet is a relative term. If you are dripping wet, totally saturated, nothing short of a wet suit is going to keep you warm, so really it is a comparison of heat retention when wrung out damp, perhaps under rain gear. The snag comment doesn't hold up. I've snagged wool and synthetic. They both snag, pill, rip, split seams.. If you treat em rough they break. My experience is neither one is immune from the common ailments of woven garments. Some people say merino loses its shape over time. Not so. I've got merino I've been wearing constantly for years. I only wear merino T shirts all year long and they get to the washing machine and dryer (follow instructions) weekly, or more. I've never had a fit problem. Same for synthetic. I have an old Patagonia Henly I've been wearing for 40 years and it still fits, and its still sound.